Kaizen is a Japanese word that translates roughly, to change or correct for the better. What are the traits, qualities and characteristics of effective clergy? Is it possible to transform an average local church pastor into a highly effective and growth-oriented pastor? Leadership is not defined at birth. All of us can grow and develop into more effective leaders and we can do this at any time during our careers. 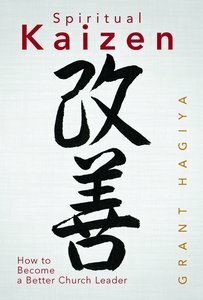 In Spiritual Kaizen, Grant Hagiya works from the best secular and ecclesial models of leadership, comparing and contrasting the two, in order to draw out the best leadership practices available for current and future leaders of the church.